HEPA and ULPA filters are a standard in many industries for work that requires an environment free of biological contaminants. Comprised of a dense mat of randomly-arranged fibers, both HEPA and ULPA filters work in the same way. HEPA filters are 99.99% efficient for trapping particulates down to 0.3 μm, and ULPA filters provide 99.999% efficiency for particle sizes between 0.1 to 0.3 μm. How Do Air Science's Vertical and Horizontal Laminar Flow Cabinets Address These Issues? Air Science's Solution: Each Air Science laminar flow cabinet includes an electrostatic pre-filter for trapping larger particulates that can accelerate the saturation of HEPA/ULPA filters. Pre-filters are easy to replace even while the cabinet is operating. Using pre-filters extends HEPA/ULPA filter life and maintains filter efficiency. 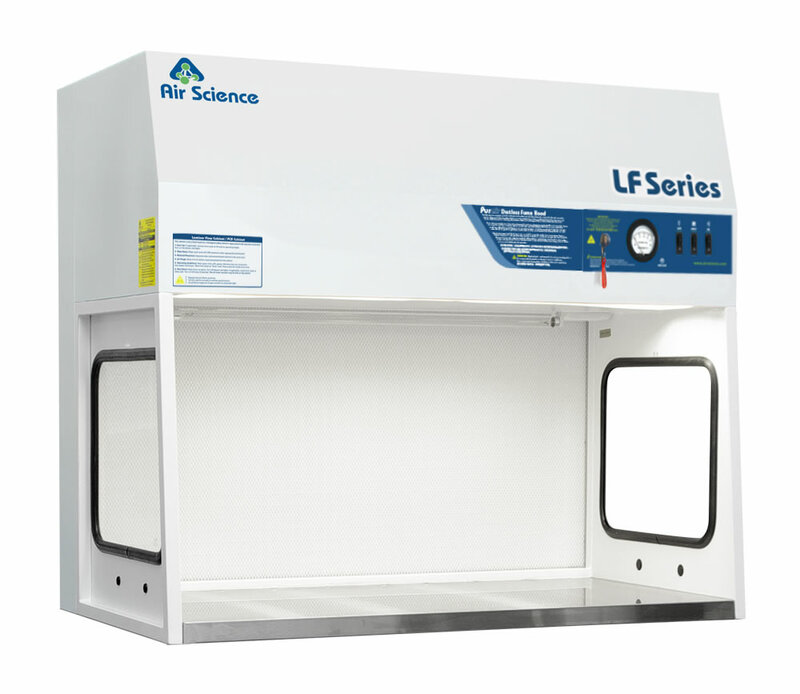 Air Science's Solution: Purair Laminar Flow Cabinets maintain a 70-90 fpm (0.35-0.45 m/s) airflow velocity, measured 6"/150 mm from the filter with a uniformity of +/- 20% across the filter face. Air Science's Solution: All Air Science laminar flow cabinets have a factory-installed pressure gauge to confirm filter performance. This gauge accurately measures airflow pressure through the filter and minimizes the potential for insufficient filtration. Find more information on Purair laminar flow cabinets, applications and uses. Purchase HEPA/ULPA replacement filters directly through Filtco Filters or find a range of replacement carbon filters designed to fit most global manufacturers' models.